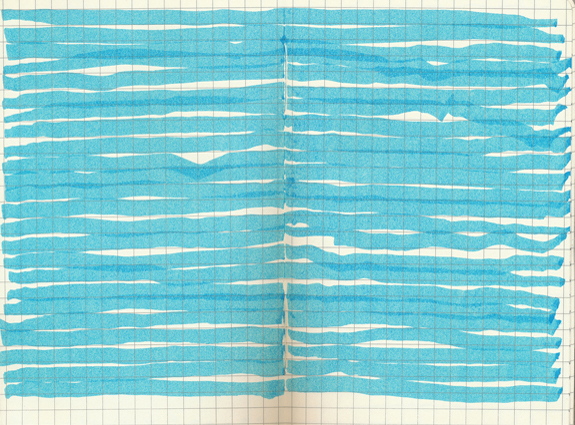 A new series of drawings made in A5 Moleskins. These notebooks provide a mobile space and structure for spontaneous drawings and passing thoughts. The form and structure of the paper (graph/manuscript/lined) often provides a starting point or organisational system for the drawing process. As well as exploring how I can fill and empty the page space, the drawings also abstractly record and map the movements, gaps and habits of my day-to-day life.